Listening Sessions return to H&H on January 17th - all artists and producers welcome! 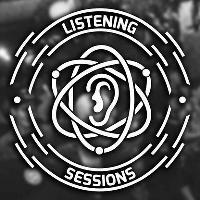 Listening Sessions is at the heart of the underground electronic music scene in Birmingham. These showcase events have been running monthly for over 4 years and are an opportunity for local producers to listen to their work on a real club sound system and get their music heard by other producers in the community and like-minded people. The session will operate in the same format as usual: 16-20 producers, approximately 3 tunes each on rotation. We are also introducing a new quick-fire round to finish the evening's proceedings! Get in contact ASAP if you want to come down and showcase your sound. Everyone is welcome - whether you're an artist, a DJ, a label owner, a promoter or you just simply want to come down and enjoy a few mid-week beers whilst soaking up some of the amazing talent our city has to offer!